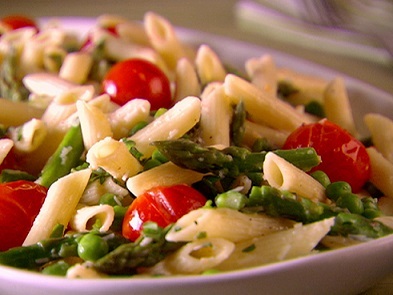 This Pasta Salad Recipe calls for Penne' pasta for eye appeal and two very nutritious ingredients: smoked wild salmon and fresh asparagus! This restaurant salad recipe is characteristic of the quality of all the recipes on the website. All are restaurant customer approved. They work! 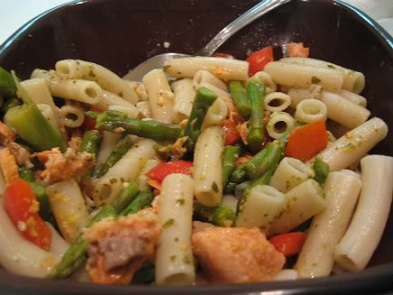 Preparation time: 45 minutes, but this pasta-salmon salad should be chilled for at least one hour before serving. This recipe serves 6-8 people depending on portion desired. A YUMMY SALMON SALAD RECIPE! Thanks for "finding me!" 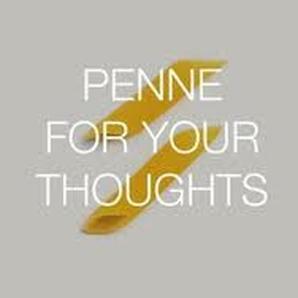 Enjoy your pasta and salmon salad recipe and the company of those you share it with!